What do Porsche Informatik, KVAT Food Stores, The Logic Group, and the US Government have in common? Each of these organizations "hired" Tripwire Enterprise to satisfy a specific compliance requirement, but then leveraged their investment to provide a broader, more sustainable set of security initiatives. Join Michael Thelander and Alex Cox of Tripwire for Part 1 of a 3-part series, where they offer a 30-minute demonstration of how one customer turned a PCI compliance investment (or a "sunk cost")into an IT security solution that delivers business value while it satisfies multiple compliance needs. 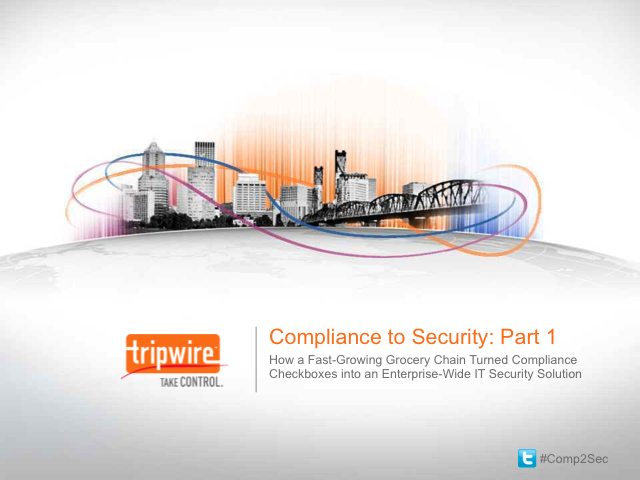 Parts 2 and 3 of this series will explore the journeys other Tripwire Enterprise customers have taken from "mandated compliance tool" to "indispensible IT security solution".